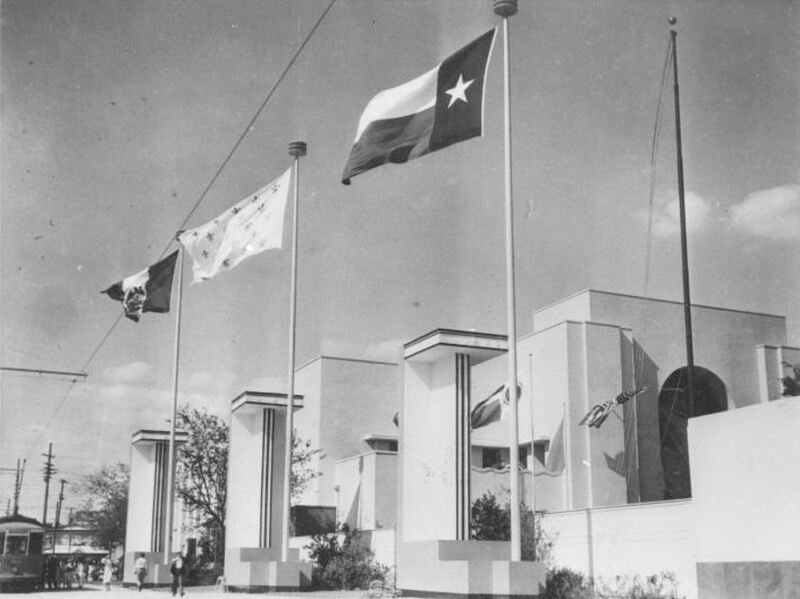 Dallas, June 6 — Three of six flags which have flown over the Lone Star State, waved over the main entrance to the Texas Centennial celebration at its opening here today. Buildings throughout the grounds of the exposition are ultra modern in design. This view — taken at about Parry and Exposition — hasn’t changed all that much. See it on Google Street View here. Associated Press photo from the New York Public Library’s digital collections, here. I haven’t seen this photo before. What a wonderful find! It really was/is a beautiful entryway.